The Patti Fiasco was listed in PASTE Magazine in September 2014 as one of the "Top 9 Wyoming Bands to Watch Now." - Check out the article here! "SEEING THE PATTI FIASCO UNDER THE LANDER SKY WAS A SIGHT TO BEHOLD. IT WAS A PLUGGED-IN HOOTENANNY UNDER THE STARS—A CURIOUS BLEND OF ROCKABILLY, ALT-COUNTRY TWANG, TRADITIONAL WESTERN MOJO AND HARD ROCK AND ROLL—BABY MAKING MUSIC, REALLY. WHILE EACH MEMBER BRINGS BUCKETS OF TALENT TO THE STAGE, TOGETHER, PATTI FIASCO IS A FORCE TO RECKON WITH. FROM “ELECTRIC SMILE“ TO “I SHOULD KNOW BY NOW,” THE LYRICS STAY WITH YOU WELL BEYOND LAST CALL, THEY SOUND GOOD THE MORNING AFTER, TOO. JAMIE LYNN MILLER, SONIC BYWAYS. "THIS YEAR, THE TITLE OF BEST BELONGS TO THE PATTI FIASCO. THE FIVE-PIECE WESTERN ROCK OUTFIT HIT HODI’S WITH GUNS ABLAZE, DOUSING FANS IN A BOURBON-LACED COCKTAIL OF GRITTY COUNTRY STYLE AND FIERY OUTLAW ROCK. THROW IN SOME SWEET-TONGUED BALLADS, AN UNSHAKABLE CHARISMA AND A HOST OF VERY DEDICATED FANS, AND THERE WERE FEW OTHER OPTIONS FOR FIRST PLACE. THE SONGS ALONE, WITH JUST ENOUGH TWANG, POP SENSIBILITY AND OUTLAW CHARM WERE ENOUGH TO LEAVE THE BARTENDER LONELY IN THE NEXT ROOM. THE PATTI FIASCO’S PERFORMANCE RODE THIS COMPOSITIONAL QUALITY LIKE A WILD HORSE, DISPLAYING A NATURAL ENERGY AND CONFIDENCE THAT WOULD SURELY MAKE JOHN WAYNE (OR EVEN JOHN DENVER), A LITTLE JEALOUS. " 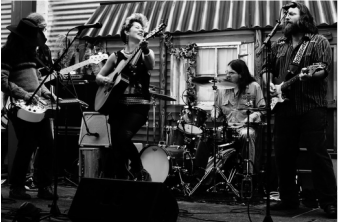 WITH AN INFECTIOUS ALL-ENERGY FRONT WOMAN, AND MORE FLANNELS THAN A FALL RODEO, FORT COLLINS’ THE PATTI FIASCO RELEASED ITS AMERICANA/ROCK FULL LENGTH IN LATE SEPTEMBER, WHICH WENT TO NUMBER FIVE ON THE COLORADO MUSIC CHARTS AND HAS GOTTEN RADIO PLAY THROUGHOUT THE ROCKIES AND THE SOUTHWEST. ORIGINALLY FROM WYOMING AND NOW RESIDING JUST SLIGHTLY TO THE SOUTH IN FORT COLLINS, THE PATTI FIASCO HAS ELEMENTS OF TWANG PEPPERED THROUGHOUT THE RECORD, BUT FIRST AND FOREMOST THE GROUP PUTS FORTH A ROCK SOUND THAT IS LED BY GUITARIST/VOCALIST ALYSIA KRAFT. THE ALBUM SHOWS A BROAD RANGE FROM POP ROCK SING-ALONGS TO MORE COUNTRY FLAVORED ROCK. THERE’S A REASON THE GROUP WAS SELECTED BY SPOKESBUZZ AS AN AMBASSADOR OF NORTHERN COLORADO MUSIC AT SXSW, AND THIS ALBUM SHOWS ALL OF THEM — EXCEPT, OF COURSE, THE GROUP’S ENGAGING LIVE SHOW. 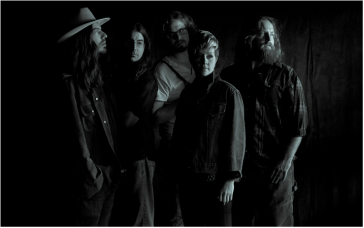 "THE FORT COLLINS, CO-BASED OUTFIT HAS A STRONG ROOTS AND FOLK BACKGROUND COMING OUT OF WYOMING, LED BY THE MIGHTY VOCALS OF FRONTWOMAN ALYSIA KRAFT. THEIR STYLE IS A WONDERFUL COMBINATION OF CLASSIC COUNTRY AND ALL-OUT ROCK ‘N’ ROLL. YOU HEAR OLD-SCHOOL TRADITIONAL SOUNDS MINGLED WITH CRUNCHY ROCK GUITAR AND ASSORTED INSTRUMENTS NOT TYPICALLY USED TO MAKE ROCK (CAN YOU SAY “ELECTRIC DOBRO”?). 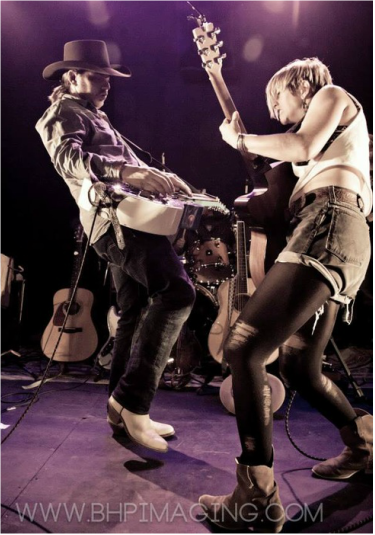 THEY CRAFTILY COVER ALL ENDS OF THE SPECTRUM WITH A VERSATILE BALANCE OF ELECTRIFYING POP ENERGY AND COUNTRY/ROOTSY TWANG." “FINALLY, THE PATTI FIASCO’S SELF-TITLED FULL-LENGTH ARRIVES AS ON OF THE STRONGEST COLORADO ALBUMS OF 2011 FOR OUR KIND OF MUSIC. ALYSIA KRAFT IS A STELLAR FRONT-PERSON, AND HAS ESTABLISHED HERSELF AS A TERRIFIC ALT-COUNTRY SONGSMITH. LIKE THIS EPISODE’S OTHER RECORDINGS, IT’S NOT SIMPLY GOOD COLORADO MUSIC, IT’S GOOD MUSIC, PERIOD. "